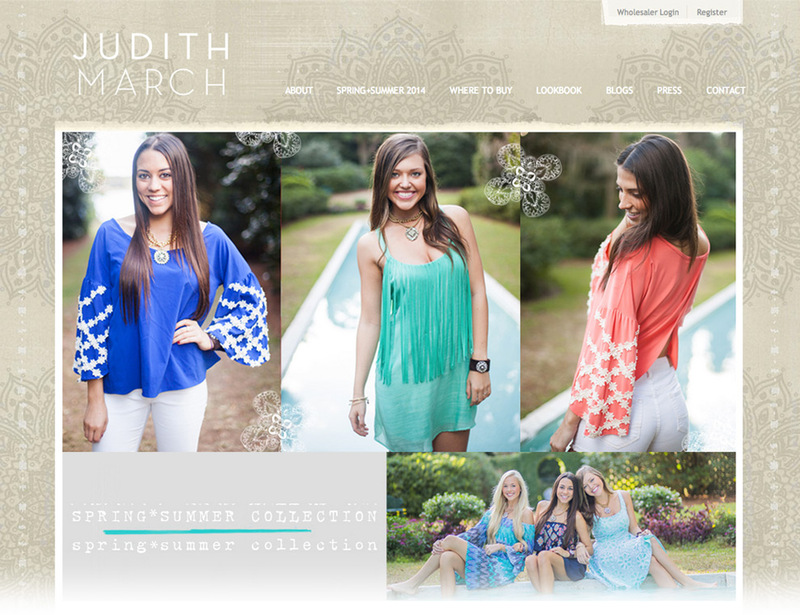 A youthful clothing and accessries line sold in over 1,200 retailers nationwide, Judith March is a company with an ardent following. Judith March turned to Redstick to build a site that would allow for the company to present its current lines to the public while managing additional inventory and making future collections privately available to their network of wholesalers for purchasing considerations. Our retailer database allows Judith March to assign logins to each retailer and manage retailer locations in order to allow their customers to find their clothing at stores nationwide.